What are the significant events, activities and decisions in 2016 that will shape Vancouver’s future? Earlier this fall, the Vancouver City Planning Commission put together a preliminary list of 2016 planning milestones that was reviewed by planners, architects, landscape architects, developers, urban historians and engaged urbanists. The list was put to a vote and the final results were presented and debated at an event last month. It included panelists such as the former Mayor of Vancouver and Premier of BC, Mike Harcourt, and Carla Guerrera, a leader in real estate development and urban planning. I agree that all of the items on the list will have a significant impact on Vancouver’s future (except maybe the launch of bike-sharing – do we have statistics on the success of the program since its launch?). It is worth noting that many of these milestones are “good news” planning goodies. 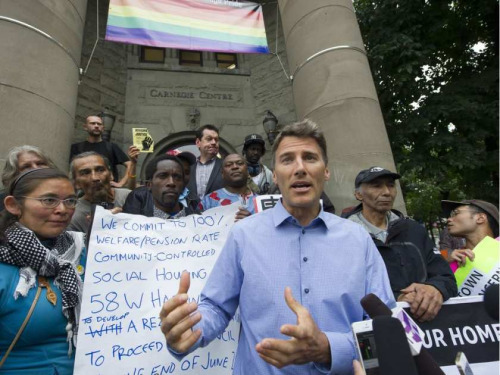 What is not mentioned are the negative trends affecting them, such as the city’s homeless count, which was the highest ever recorded in 2016, and the benchmark price of a home in Greater Vancouver, which rose by 31.4 per cent to $933,100 in one year. Here is the list published by the VCPC in order of significance. What do you think were the most important planning milestones of 2016? Is anything missing? TransLink’s Millennium Line Evergreen extension opened on December 2, 2016, connecting the Tri-Cities region of Metro Vancouver to the rapid-transit network that runs into downtown Vancouver (my retired and super keen urban planner Dad rode it three times on opening day!). Expansion of the TransLink network is expected to start a new urban era for the region. 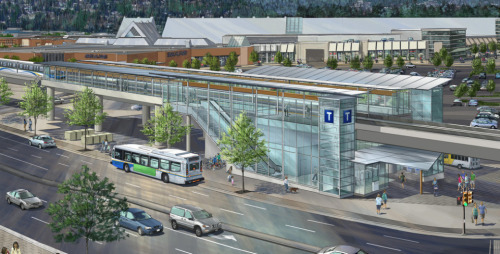 The rapid-transit connection will bring more affordable housing and allow quiet bedroom municipalities outside Vancouver to become more urban. TransLink anticipates daily ridership of 70,000 within five years. The crisis of limited affordable housing forced Vancouver to accept greater responsibility for housing despite limited financial resources. City Council prodded senior levels of government to contribute to housing construction by offering four City-owned sites for specific projects. The municipal housing agency also sparked interest in modular housing that can be manufactured off-site, stacked, relocated and reconfigured. The City of Vancouver paid $55-million to buy the Canadian Pacific Railway Limited rail line that ran between Kitsilano and the Fraser River for redevelopment as greenway, including cycling and pedestrian paths. The land is also to be preserved for a potential light-rail corridor. Renamed the Arbutus Greenway, the green space may spark some densification in close proximity to the corridor. In June 2016, the B.C. government announced a 15 percent property transfer tax on foreign nationals buying real estate in Metro Vancouver. The tax was introduced to dampen prices in Vancouver’s hot real estate market, where the average price for detached properties peaked in January 2016 at $1.83-million. By November, the average price had decreased to $1.61-million and bidding above asking price was rare. A comprehensive Biodiversity Strategy, approved by the Vancouver Board of Parks and Recreation on February 1, 2016, is intended to increase the size and quality of Vancouver’s forests, wetlands, streams, shorelines and meadows. The Park Board stepped beyond its traditional role as custodian of green space to set the goal of restoring or enhancing 25 hectares of natural areas by 2020. 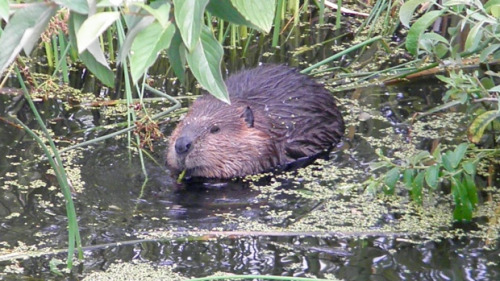 Habitat is to be expanded for pollinators, birds, salmon, herring, beavers and otters. The provincial government changed the B.C. Strata Property Act on July 29, 2016, to allow a strata corporation to be terminated with the support of only 80 per cent of the owners. Previously 100 per cent support was required. This action is expected to lead to the sale and demolition of many three- and four-storey walk-ups built in the 1970s and earlier, uprooting long-time residents and leading to increased density. Vancouver City Council approved 41 actions outlined by the federal Truth and Reconciliation Commission. The Vancouver Park Board also approved 28 actions. 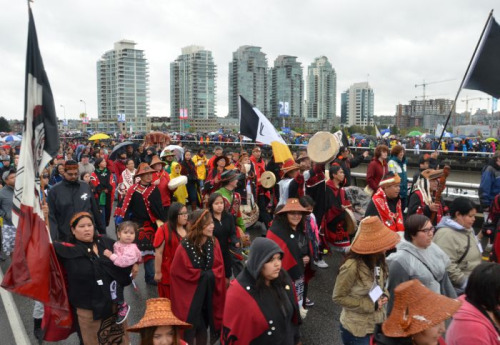 These include the long-term goals of strengthening local First Nations and urban aboriginal relations, promoting aboriginal peoples arts, culture, awareness, and understanding and incorporating the perspectives of the Musqueam, Squamish, and Tsleil-Waututh First Nations, and the urban aboriginal community in development and delivery of city services. In a hot real estate market where homes are purchased and flipped like stocks, Vancouver City Council became the first municipality in Canada to approve a one percent tax on empty homes. 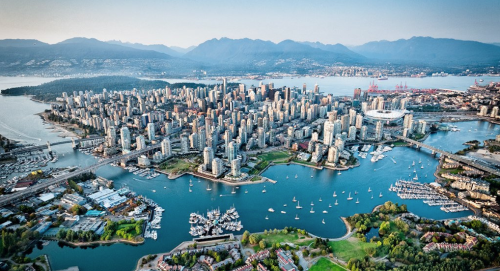 It is intended as a disincentive to property investors, who are believed to be holding around 10,000 houses and condos off the market, at a time when the vacancy rate in Vancouver is below one per cent. Staff project the one percent tax could turn up to 4,200 empty units into occupied homes, while revenue from the tax will enable the City to recoup its administration expenses and net revenues will be reinvested into affordable housing initiatives. On April 20, 2016, City Council approved the permanent closure of the 800-block of Robson Street to all vehicular traffic, turning the roadway into a public plaza. The decision allows for the revival of the original architectural and social goals for a three-block site: to create the largest public space in the heart of downtown Vancouver. On July 20, 2016, the City of Vancouver launched a bike-sharing program named “Mobi,” which is expected to lead to expanded options for mobility, encourages a healthy lifestyle, increased use of new bike lanes in the city, reduced pressure on transit, and less vehicular traffic. By the beginning of December, around 5,000 people signed up for monthly or annual bike-share memberships and an additional 5,000 bought daily passes. 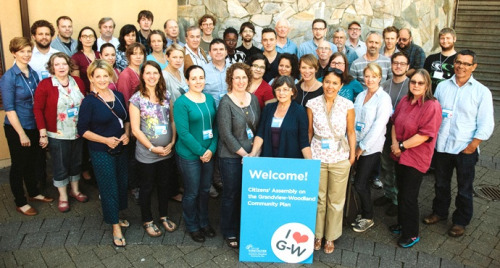 A group of 48 community members worked collaboratively as a Citizens Assembly to develop recommendations for a community plan for the Grandview Woodlands neighbourhood. For the first time in Canada, a Citizens’ Assembly put local residents at the centre of the planning process to grapple with contentious issues dividing an iconic community of the City. In an unprecedented initiative in citizen engagement, local residents led roundtable discussions, planning workshops and walking tours to come up with directions, policies and the recommendations. City Council approved the plan, with some controversial changes, on July 27, 2016. Jillian Glover is a communications specialist in urban issues. She is a former Vancouver City Planning Commissioner and holds a Master of Urban Studies degree from Simon Fraser University. She was born and raised in Vancouver and writes about urban issues at her blog, This City Life, named one of the best city blogs in the world by The Guardian.